Turning 50 this month, Moore’s Law is the cornerstone on which today’s innovation is built. IHS said today that Moore’s Law has generated a minimum of $3 trillion in incremental GDP and up to $11 trillion when including the indirect impact. At an event tonight, Gordon Moore is expected to highlight that without increasing funding for basic research and focus on STEM education advancements such as Moore’s Law may not happen in the future, potentially hobbling economic growth and increases in living standards. 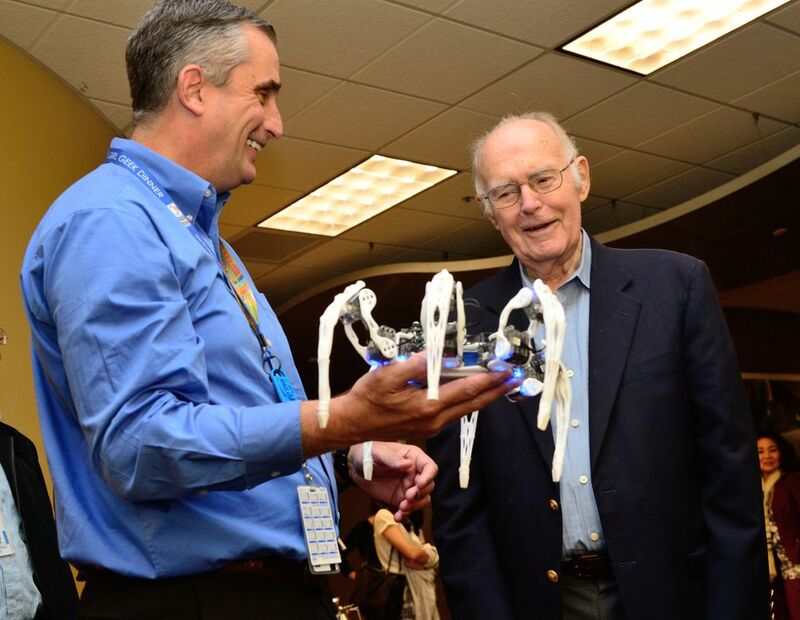 When Intel CEO Brian Krzanich showed 86-year-old Intel co-founder Dr. Gordon Moore the Intel® Edison-powered Spiderbot, Moore promptly pointed out that the robot does not have the correct number of legs — spiders have eight. 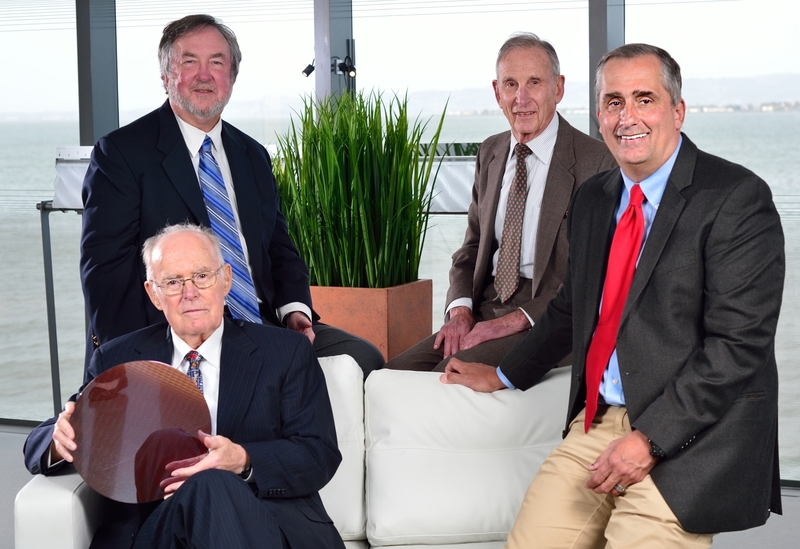 On the evening of May 11 in a rare opportunity, former and current Intel chairmen and CEOs gather at an event in San Francisco to celebrate the 50th anniversary of Moore’s Law: Intel Co-Founder Dr. Gordon Moore, Intel Chairman Andy Bryant, retired Intel Chairman Arthur Rock and Intel CEO Brian Krzanich (left to right). Credit: Intel, Walden Kirsch.